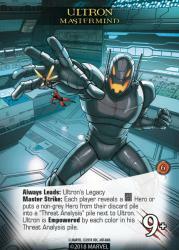 The size-changing heroes Ant-Man and Wasp are the focus of the next expansion set for Upper Deck�s Marvel Legendary Deck Building Game. 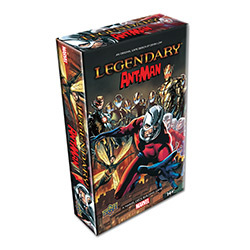 The Legendary: Ant-Man Expansion will release on November 7. Meanwhile, on the villains� side, Hank Pym�s creation Ultron joins the fray, with a number of cards representing that robotic terror and its own creations. The Legendary: Ant-Man Expansion includes 100 new cards, with five new heroes, two villain groups, two masterminds, and four schemes.